Issue #010 01/05/10 SORE, HUNGRY, AND SLOW? Looking for a New Challenge in 2010? Stay-at-Home Mom Brings It with the X! You'll be pushed past your limits both mentally and physically. No equipment or weights needed—just the will to get the hardest body you've ever had. Plus SAVE $10.00! 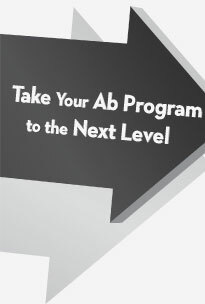 RevAbs is an intense new ab system that targets your abs from 6 different angles and burns the fat off your midsection. The result is the abs you've always wanted—FAST! Plus SAVE $8.00! The Curves template is what we would call a foundation phase of training for someone who has never exercised. The next step would be one of our programs, like P90X or Slim in 6® (these programs also work on the Curves template because you can choose modified variations). The upside with this method is that each day you leave the gym feeling better than when you walked in. The downside is that you'll never have the body of a fitness model. To achieve a higher level of fitness, you need to periodize your training (see "Customizing P90X for Specific Goals: Part I" in the Related Articles section below) and eventually stare into your Nietzschean abyss. That which doesn't kill you makes you stronger is more than a cliché with P90X—it's your life. Furthermore, the more varied the exercise you do, the more you'll find areas where your body is out of balance. This means some muscles are stronger than others. When you do new exercises, your stronger muscles are forced to do extra work as the weaker ones catch up. This results in both the strong and weak muscles being overworked while they sort out the balance problem. This is the first step of Muscle Confusion™ (see "Why Confused Muscles Get Stronger Faster" in the Related Articles section below), and as you know, there is no shortage of it in P90X. When your body is hungry, supplements are your best friend. Most have very few calories and a lot of nutrients. Some have targeted nutrients, which basically means they're designed for nutrient efficiency. Results and Recovery Formula™ is a prime example (see "Your Key to Great Results" in the Related Articles section below). Although its nutrient profile is unsuitable for many situations, during or after exercise, it is the most efficient food for your body. Using Results and Recovery Formula as directed will help you get less sore, and hence less hungry. Shakeology® also shines during an exercise program. While healthy anytime, drinking Shakeology while your body's in flux will enhance your ability to use all of Shakeology's nutrients effectively. "Why Confused Muscles Get Stronger Faster"
"Your Key to Great Results"
Got something to say? Chat with the writers and other readers this coming Monday, January 11th, at 7:00 PM ET, 4:00 PM PT, in the Beachbody Chatroom! Suzy Stauffer was a stay-at-home mom who was becoming an out-of-shape mom. With Tony Horton's help, she was able to show people what a domestic goddess can really look like. Exercising and eating right help you feel better. When you feel better, you do more. When you do more, you meet other people. A healthy lifestyle gives us the energy to be better than before. We want to participate, share, communicate, and build a community. If you'd never found Beachbody®, you might be right back where you were—isolated and with nothing to share, because you weren't doing anything with anyone. We come together because we all have one thing in common—the desire to improve our lives. Anyone willing to explore the Message Boards is given the opportunity to participate in something truly unique. The intent to help yourself turns into a chance to save someone else's life. We're planting seeds that affect much more than our own weight loss and improved fitness. The moment we decide to share our stories, we create an energy shift so powerful that it has the potential to change the world. When we're in a state of fear and anxiety, the people around us aren't too thrilled either. If we have the energy to be kind, wise, and loving, we lift up everyone around us. The difference between these two states is CHOICE. 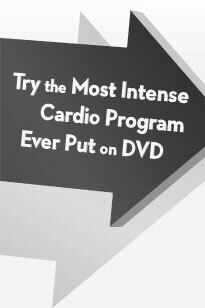 Before P90X or Power 90®, many of you were overwhelmed, sick, and tired. Shortly after you started the program (even before you saw any real physical change), something remarkable started to happen. You felt better. When you feel good, you act quite differently than when you feel overwhelmed and tired. The people around you don't need be told what kind of mood you're in. They know. Your behavior (good and bad) has tons of energy and power that affect everyone in your world. You are what you eat and what you do! If you eat junk and do nothing, friends and family will sink with you or abandon ship—not a terribly inspiring or productive outcome. If you choose to devote your time and energy to health and fitness with wisdom and courage, you become a beacon of energy so powerful, you could change the lives of thousands of people. A healthy, fit body directly affects the mind and soul. The brain and body are one. The reason so many people reach for cigarettes, drugs, alcohol, and fast food is because it makes them feel good . . . for now. These short-term pleasures deliver myriad physiological and psychological disorders and diseases down the road. Short-term bouts of exercise, on the other hand, will guarantee the opposite result—a lifetime of good health, energy, self-reliance, and hope. Having purpose takes the onus off you and puts the focus on the people who need your help. The gift of giving is the greatest gift to receive. The people I know who practice this on a daily basis are well-rounded, content, empathetic, wise, and happy. They say that about 3 percent of the people on Earth live in bliss. What the hell are the other 97 percent doing? Maybe we're spending too much time on ME, ME, ME! I believe that our journey on this earth is to be serviceable. Discover what you love, learn how to do it well, and share it with others. It's also important to recognize when friends and family are not ready for change. The worst kind of advice is the kind that was never asked for. Purpose is the driving force that moves you from here to there. Your purpose for taking care of yourself is based on intention and resolution. If your intentions aren't clear, strong, and true, the best food and supplements and perfect workouts won't help you discover your purpose. What are your intentions? Do you want to find resolution? What is your $64,000 question? If it's about looking hot for the weekend fitness camp, how will that hold up come Monday? Short-term goals are nice. It's one way to stay in the game. But if you want to make a worldwide impact, then put your energy into the long-term goals. The key to success for Power 90 and P90X comes to people who figure out that when you share your experiences, your wisdom, your love, and your truth, you begin to know what it is to live like that 3 percent. The Message Boards, chat rooms, and WOWY® SuperGym can be precious commodities—we are given an opportunity to share everything about our journey with people going through the same thing. Discovery + Learning + Sharing = Bliss! Want some down-home goodness without having to go to the Colonel for a bucket of fat and calories? Try this high-protein treat that you can enjoy with just a few minutes of prep time. Now that's fast food! In a large bowl, whisk together hot sauce, Worcestershire sauce, pepper, and salt (optional). Add the chicken and marinate in the refrigerator for 2 to 12 hours. Preheat oven to 425 degrees. Remove chicken from marinade. Add bread crumbs to marinade and mix well. Coat chicken thoroughly with mixture. Spread oil over the bottom of a shallow 9"x13" baking dish. Arrange chicken in the dish and bake for 15 to 20 minutes. Turn chicken over. Reduce heat to 325 degrees; cook for an additional 15 to 20 minutes or until juices run clear when chicken is pierced with a fork. Makes 8 5-oz. servings.